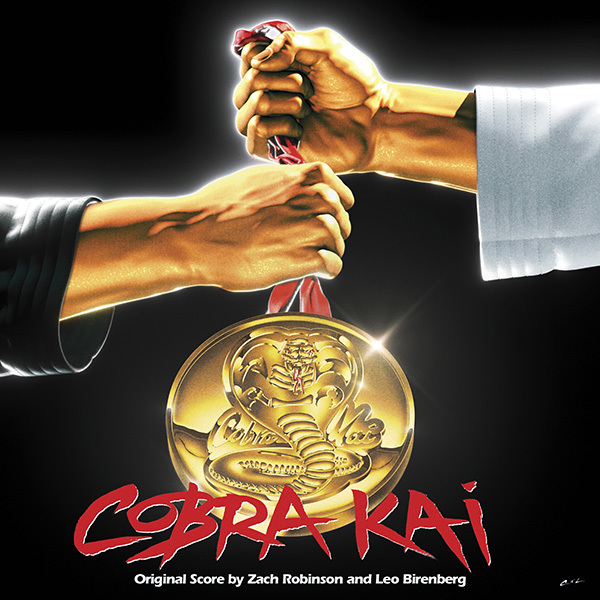 Howlin' Wolf Records: SIX STRINGS: La-La Land Records: "COBRA KAI: THE KARATE KID SAGA CONTINUES"
La-La Land Records: "COBRA KAI: THE KARATE KID SAGA CONTINUES"
La-La Land Records is proud to announce the release of the COBRA KAI CD soundtrack on May 22, 2018 at www.lalalandrecords.com, followed by a general retail release June 1, 2018 and on LP later this year. The hit YouTube Red series, produced by Overbrook Entertainment in association with Sony Pictures Television, debuted on May 2 and stars Ralph Macchio and William Zabka reprising their roles from the original 1984 feature film “The Karate Kid.” As a special exclusive, 300 units of the CD will be available packaged in a 1980's-style replica longbox, via the label’s website (www.lalalandrecords.com), as a tribute to The Karate Kid Saga’s origins. The album features the original score by composers Leo Birenberg and Zach Robinson (SING IT!, SON OF ZORN), with the CD release featuring several exclusive, CD-only tracks. La-La Land Records is proud to announce the release of the COBRA KAI: THE KARATE KID SAGA CONTINUES soundtrack CD being released at www.lalalandrecords.com on May 22, 2018, followed by general retailers (Amazon, etc) on June 1, 2018. A digital version is available now from Madison Gate Records. La-La Land Records will also release an LP edition later in 2018.